It's rewind week at Tuesdays With Dorie (TWD). 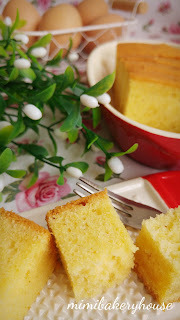 I've made Dorie's Rum-Drenched Vanilla Cake, recipe from her book, Baking From My Home To Yours. According to Dorie, "the crumb so soft, even and tightly knit - you could mistake it for a Sara Lee pound cake. But what you get here is a flavour Sara Lee can never deliver, one that depends on using the very best vanilla you can find. The first choice is a pair of moist, pliable vanilla beans". Well, I was smiling with glee, as from my recent holiday in Bali, I have bought some vanilla beans that are really fresh. These beans are soft, pliable, moist and oily, unlike the dried ones that I have been using all this while. I stored them in a jar of sugar, and within two days, the sugar was already damp and turning brown, with the oil from the vanilla beans. And the smell is just gorgeous. On top of that, I've also purchased a bottle of dark rum from the duty-free shop at the airport. Perfect! This cake does indeed has a tightly knit soft crumb, similar to those frozen Sara Lee cakes (which I have not eaten in years!). Can you see the fine speckled black seeds of the vanilla. The cake smells really nice with the fragrance from both the vanilla and rum. Each bite is filled with the lovely light crunch of the seeds, and the fragrance of the vanilla really came through beautifully. 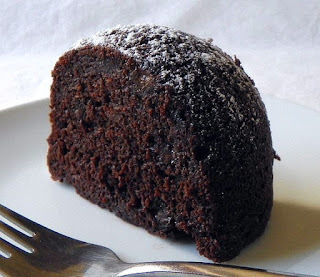 Rum is used in the cake, as well as in the syrup that is brushed all over cake while still hot. With the amount of rum used, surprisingly it does not overpower the cake at all, but you would noticeably know there's rum. What I got, was a lovely vanilla cake with the fragrance and a light taste of the rum. The only changes I've made to the recipe which makes two cakes of 8-1/2 x 4-1/2-inch, is to reduce the amount of sugar. Originally, recipe calls for 2-1/3 cups of sugar for the batter, but I've used only 1 cup. For the syrup, I've used only 2 tablespoons of sugar instead of 1/4 cup. And the sweetness turns out just right for both the cake and the syrup. 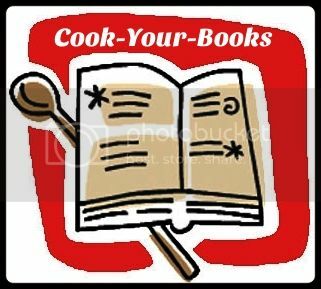 Recipes are not published at TWD, but if you would love to give this a try, you can get the recipe here. I'm linking this post with Tuesdays With Dorie (TWD), for rewind week. 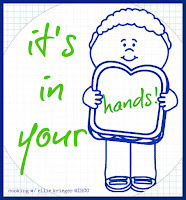 "It's In Your Hands", the theme for this week at I Heart Cooking Clubs (IHCC). It's about "food you can hold and/or eat with your hands". Ellie has lots of recipes that fits this theme. The challenge is to pick which one! I've selected her super easy Cheddar-Apple Quesadilla for the kids' brunch. They woke up late and should I make them breakfast or lunch? Quick and easy snack for brunch it is, and found this simple recipe from Ellie's book "So Easy". And I have all the ingredients! This is really so simple, so easy and makes such a healthy brunch snack. One thing to note that if you are making with four tortillas, one Granny Smith apple is definitely not enough. I've used about 2-1/2 apples for 4 tortillas, and the apples are large. The apples are cored, sliced and arrange on one half of the tortilla. Scatter some shredded Cheddar cheese on top, fold over the tortilla and place in a hot large skillet, weigh the tortilla down with a heavy pan, and cook each side about 1-1/2 to 2 minutes until golden brown. Sliced into half and serve immediately. Both my daughter and son, thought that the combination of apples with cheese is a little weird, but they asked for another one as soon as they've finished the first piece! I thought this was really nice and really like it. If you want a healthy snack, but really rushing for time, this would be great. It comes together in a just a few minutes. Preheat a large nonstick skillet over medium-high heat. Fan out the apple slices over the bottom half of the tortilla and top with the cheddar cheese. Fold the tortillas in half. Working in batches, place the quesadillas in the skillet and weigh them down with a smaller heavy skillet or an ovenproof plate topped with a heavy can. Cook until the cheese is melted and the tortillas are golden brown, about 1-1/2 minutes per side. Cut in half and eat warm. Link your posts to the linky which can be found at either of the hostess's blog. 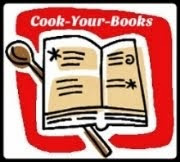 Please mention the following in your posts with a link back to us, "I'm linking this post with Cookbook Countdown hosted by Kitchen Flavours and Emily's Cooking (Makan2) Foray". "December Potluck", theme for this week at I Heart Cooking Clubs (IHCC). For potluck week, I've made Nigella Lawson's No-Churn Matcha Ice Cream. Really easy to make, as you do not need an ice cream maker. Only three ingredients needed, whipping cream, condensed milk and matcha powder. The whipping cream is whipped till soft peaks, followed by the condensed milk, then the green tea powder, whipped until the mixture is green and creamy.Transfer to airtight container, and freeze overnight. I've made this ice cream twice, I thought it was a little too sweet the first time round, but it tastes really nice. So I've made it again, reducing the amount of condensed milk from 2/3 cup to slightly less than 1/2 cup. Make sure to use good quality matcha powder, it makes a big difference to the taste of the ice cream. Easy, simple and yummy! Perfect treat anytime of the day! Then whisk in the green tea powder until you have a whipped green cream. Decant into your airtight container or containers and freeze overnight. Take the ice cream out of the freezer to soften for 10 minutes before serving. 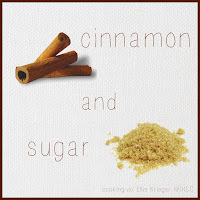 "Cinnamon & Sugar", the theme for this week at I Heart Cooking Clubs (IHCC). Cinnamon and sugar, a perfect combination. And Ellie's Krieger's Honey Whole-Wheat Cinnamon Raisin Bread fits that perfect combination perfectly. Ellie's recipe uses an equal amount of bread flour and wholewheat flour, but I wanted a lighter bread, so I've reduced the wholewheat flour slightly and increase the amount of bread flour. I've made half a recipe for one loaf of bread. The bread is very easy to make, instructions are straight-forward. While the the bread is baking, it smells so "cinnamony" nice. For the filling, I've used slightly more of the ground cinnamon than listed in the recipe. This is a lovely and delicious loaf of bread. The bread is soft and smells so good with the cinnamon, sugar and the raisins. It stays soft on the next day too. I had slices of this bread with a cup of coffee, so nice! This recipe is a keeper. Place the flours, dry milk, water, egg, 2 tablespoons of the oil, honey, salt, and yeast into the bowl of a stand mixer. Using the dough hook attachment, mix on the lowest setting ("stir") for 3 minutes, then increase to the next highest setting ("2") and mix 5 minutes more. The dough should be soft and fairly sticky. (I knead the dough in the stand mixer with the dough hook attachment for about 12-15 minutes). Place the dough in a bowl sprayed with cooking spray, cover tightly with plastic wrap, and let stand at room temperature until its size has nearly doubled, about 1-1/2 hours. Spray two 9x5x3-inch baking pans with baking spray. Transfer the dough to a well-floured work surface. Pick up one side of the dough, lifting about a third of the bulk and fold it across. With spread fingers, pat down on the dough to remove most of the trapped gases. Repeat with the remaining three sides of the dough. Divide the dough in half and roll each half into a flat square, about 8x8 inches. Brush each square with some of the remaining oil. Sprinkle 2 tablespoons sugar, 2 teaspoons cinnamon, and 1/4 cup raisins over each square. Roll each square into a tight cylinder and place each one, seam side down, into one of the prepared pans. Cover tightly with plastic wrap and allow to sit at room temperature for 1-1/2 hours, until the dough fills the pan and springs back slowly when touched. After the dough has been sitting for about 1 hour, preheat the oven to 375F. Uncover the pans and brush the tops of each loaf with oil. Bake until the bread is golden brown and the sides spring back when pressed, 25 to 30 minutes. Transfer the breads to a wire rack and allow to cool completely. 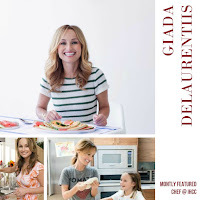 "Monthly Featured Chef : Giada de Laurentiis", the theme for this week at I Heart Cooking Clubs (IHCC). Once a week, each month, we get the chance to revisit one of IHCC's past featured chefs and cook from their recipes, besides our potluck week. I've made Chicken Parmesan and it was delicious. The chicken cutlets is rubbed with some herbed oil which is made up of mixing some olive oil, dried rosemary, dried thymes and dried parsley. Brown the chicken cutlets in a large skillet and then marinara sauce is poured over, sprinkled with Parmesan and dots of butter. Bake until cheese melts and chicken is cooked through. That means, if you are using homemade marinara sauce, then you got to prepare the sauce in advance. And I would suggest that you made your own, using Giada's recipe, which is very tasty. The marinara sauce is pretty easy to make. The only thing is to make sure you chopped up all the veggies (onions, celery and carrots) real fine, as I think mine is a little coarse. I was thinking of pureeing half of the sauce and mix them all together so that it will be a little chunky and saucy, but was really lazy and put that out of my mind as soon as I thought about it! I wish I had though! This photo may not look very appetizing, but this dish is delicious. Here I have used a big baking dish to bake the chicken cutlets. After I have browned the chicken, I've placed the pieces in the baking dish, add the marinara sauce and sprinkle with Parmesan over the cutlets. I baked mine about 20 minutes. I only took a few photos, as I have two very hungry teenagers waiting for their dinner! I served the Chicken Parmesan with one of our favourite rice, Baked Butter Rice (a Tessa Kiros recipe), which I have made a few times already. And Cucumber, Onion and Mint Salad (a Jacques Pepin recipe). We love this Chicken Parmesan, and the rice and the salad, satisfied tummies! Preheat the oven to 500°F. In a small bowl, stir the oil, thyme, rosemary, and parsley together to blend. Brush both sides of the cutlets with the herb oil and sprinkle with the salt and pepper. Heat a large, heavy ovenproof skillet over high heat. Add the cutlets and cook just until browned, about 1 minute per side. Remove from the heat. Spoon the marinara sauce over and around the cutlets. Sprinkle 1 tablespoon of mozzarella over each cutlet, then sprinkle each with 2 teaspoons of Parmesan. Dot the tops with the butter pieces, and bake until the cheese melts and the chicken is cooked through, about 5 minutes. Serve hot. (even though the sauce is at a simmer, it gets thicken and will be a little dry during simmering, so I've added some water a number of times, about half cup at a time, until the sauce is ready). "Monthly Featured Chef : Giada de Laurentiis"
It's time for Bake-Along. And since Christmas is just round the corner, we thought it would be fun to do a special Christmas theme by baking yeasted breads. Come and join us, bake your favourite Christmas yeasted bread and join Lena, Zoe and myself as we bake-along together with our theme, "Theme : Christmas Yeasted Breads". I've made a lovely loaf of Mocha Panettone. According to the book, "Panettone is the traditional Italian Christmas bread from Milan. This tall domed loaf is usually filled with dried fruits, for a change try this coffee-flavoured bread studded with chocolate and pine nuts". However I have replaced the pine nuts with dried cranberries. This Mocha Panettone bakes up really tall. It stands at 7-3/4" high, very impressive! The dough is mixed in the bread machine right up to the first rising. There's cocoa powder, instant coffee powder and cinnamon, so it smells really, really nice. After the first rising, take the dough out of the bread machine pan, place it on a lightly floured work surface and knead in the chocolate chips and dried cranberries. Shape it into a ball and place it in the prepared pan. This bread will bake up very tall, so prepare the baking pan as per instructions given in the recipe. Leave it rise until the dough almost reaches the top of the paper. Brush the top with melted butter and cut a deep cross at the top. Bake as per instructions in the recipe. It smells fantastic while it is baking in the oven! This bread is really good. The crumbs are soft, fluffy and tastes absolutely wonderful with the aroma from the coffee and cinnamon. Of course, the melted chocolate chips in there with the dried cranberries makes it all the more yummier! It did not last long in my house. We finished the whole loaf by the next day. Absolutely lovely with a cup of hot coffee. In a small bowl, dissolve the coffee in 30ml/2 tbsp hot water. Pour the mixture into the bread machine pan and then add the milk, egg and egg yolks. If the instructions for your bread machine specify that the yeast is to be placed in the pan first, simply reverse the order in which you add the liquid and dry ingredients. Sift the flour and cocoa powder together. Sprinkle the mixture over the liquid, ensuring that it is completely covered. Add the ground cinnamon. Place the salt, sugar and butter in separate corners of the bread pan. Make a small indent in the centre of the flour (but not down as far as the liquid) and add the yeast. Set the bread machine to the dough setting; use basic dough setting (if available). Press Start. Lightly oil a 15cm/6in deep cake tin (pan) or souffle dish. Using a double sheet of baking parchment that is 7.5cm/3in wider than the depth of the tin or dish, line the container so that the excess paper creates a collar. When the dough cycle has finished, remove the dough from the machine and place it on a lightly floured surface. Knock it back (punch it down) gently. Gently knead in the chocolate and pine nuts (chocolate chips and dried cranberries) and shape the dough into a ball. Cover it with lightly oiled clear film (plastic wrap) and leave it to rest for 5 minutes. Shape the dough into a plump round loaf which has the same diameter as the cake tin or souffle dish, and place in the base of the container. Cover with oiled clear film and leave the dough to rise in a slightly warm place for 45-60 minutes, or until the dough has almost reached the top of the greaseproof paper collar. Meanwhile, preheat the oven to 200C/400F/Gas 6. Brush the top of the loaf with the melted butter and cut a deep cross in the top. Bake the bread for about 10 minutes. Reduce the oven temperature to 180C/350F/Gas 4 and continue to bake the panettone for 30-35 minutes more, or until it is evenly golden all over and a metal skewer inserted in the centre comes out clean without any crumb sticking to it. Leave the panettone in the tin or dish for 5-10 minutes, then turn out on to a wire rack and leave it until it is quite cold before slicing. For our next Bake-Along, we will be baking Ruby Jewel Cookies, from Williams-Sonoma Baking Book, pg 46 or here. 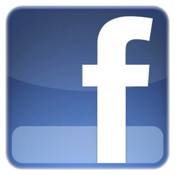 Link your post to our linky which will open from 7th to 16th January. Everyone is welcome to join us! Only current posts please. Foodies and The Domestic Goddess Wannabee. 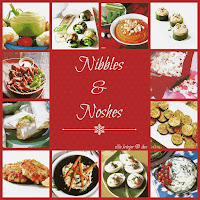 "Nibbles & Noshes", the theme for this week at I Heart Cooking Clubs (IHCC). I'm going "hot and nutty" this week with Spiced Mixed Nuts. There's pumpkin seeds, peanuts, almonds, pistachios, cashew and I've thrown in some hazelnuts as well. Flavoured with the sweetness of honey (did not have maple syrup), spiced with curry powder, cayenne powder with dried rosemary and salt. Just mixed and bake until the nuts are fully toasted and crispy. They will be sticky from the honey. Some of the nuts will clump together when left to cool, no problem, just separate them later. But I find that I have to bake them about 10 minutes longer than the recipe states. I've used more cayenne powder, about 1/2 teaspoon and they have just the right kick in the spiciness, which I really, really like. Sweet and spicy, and very, very addictive. This is great for munching alongside a cold glass of beer! Coat a baking sheet with cooking spray, then transfer the coated nuts to the sheet and spread evenly in a single layer. Bake, stirring once, until the nuts are fragrant and lightly toasted, 15 to 20 minutes. Remove from the oven and let cool. The nuts will keep in an airtight container in the refrigerator for up to 2 weeks. It's November Potluck week over at I Heart Cooking Clubs (IHCC), and I'm bringing another dish. A soupy chicken broth noodle from Nigel Slater's book "Eat". Originally, the recipe uses asparagus spears which is cut into ribbons. I do not have any asparagus but I do however have a pot of Amaranth (Chinese Spinach) growing in my garden pot, which are just about right for harvest. And these Chinese Spinach are great in soups and stir-fries. So I've used that instead. Instead of chicken thighs, I've used chicken breast fillet. I've followed the cooking instructions for the thighs, but shred the meat to pieces before serving. For the noodles, I've used dried egg noodles which is boiled till softened. This is an easy noodle dish to come together rather quickly. I made this for lunch, with a condiment of light soy sauce mixed with chopped birds eye chillies. Brown 4 chicken thighs in a little oil in a deep pan. Slice 150gm mushrooms, such as large field, portobello or porcini, and peel and slice 2 garlic cloves. Add the mushrooms and garlic to the pan and continue browning, adding more oil if necessary. Pour in a litre of chicken stock, bring to the boil and simmer for about 30 minutes. Lift out the thighs and take the meat off the bones, returning it to the simmering stock. (I've used chicken breast fillet, cook as above, and shredded the meat before serving). Shave 4 asparagus spears into ribbons with a vegetable peeler, then add them to the soup with 200gm noodles (I've used Chinese spinach, cooking it in the soup for just a few minutes). Cook for a minute or two, then divide between deep bowls. 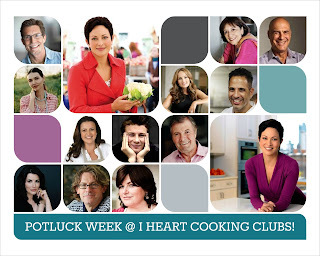 "November Potluck", the theme for this week at I Heart Cooking Clubs (IHCC). We get to cook from any of IHCC's past or present featured chefs, and for this week, I've made Jacques Pepin's simple and yummy salad, Cucumber, Onion and Mint Salad. I've sliced the onions into rings (instead of diced), as I like them this way in salads. The cucumbers are from my potted garden, gorgeous fresh cucumbers! I did not peel them since these are homegrown and they have thin skins, so they really do not need any peeling. These are mini cucumbers,and there's barely any seeds in them, so I did not bother to scrape out the seeds. Also I have skipped the step where the cucumbers and onions are sprinkled with salt and left for 30 minutes to extract out the water so that they will be crunchy. My cucumbers are really crisps so I've omitted this step. The salad is made more refreshing and fresh by using mint leaves, also from my garden pot. I did not use Tabasco sauce, but have replaced with Dijon mustard instead. This salad can be prepared in advance and keep in the refrigerator until serving time. It is delicious served cold. Mini cucumbers. Fresh, juicy and crisp. Perfect for salads. Looking forward to more cucumber harvests this week! Big grin!!! Mint from the garden pot. Combine the cucumber and diced onion in a bowl, sprinkle with the salt, and mix well. Let cure for 30 minutes. (I skipped this step). Drain the cucumber mixture in a colander and pat dry with paper towels. Combine with the rest of the ingredients and serve. This week at Tuesdays With Dorie (TWD), the selected recipe is Pear-Cranberry Roll-Up Tart. I do not have any fresh or frozen cranberry, but I do have a pack of frozen blueberries, so I have used that instead. For the filling, I've used Parkham Pears which are ripe and sweet. For the jam, I've used raspberry jam and replaced the ground ginger with ground allspice as I could not find my little jar of ground ginger. I thought I had one around! Roll-Up Tart about to go into the oven. Dorie's galette dough is quite easy to handle for a round tart, or even small little tarts, but I had a little trouble rolling the dough up into a roll-up tart. With the pear and blueberry filling inside, it was not an easy smooth roll! There's one or two tears, which was easily patched up by pinching the dough together to seal. In the end I managed it somehow, though I am unable to tuck the ends of both sides under the dough, as it was getting sticky and soft by then. So I just pinched them together to seal. Brush the top with egg wash and sprinkle with demarara sugar. Make a few slits on top and bake as instructed in the recipe. One thing I know for sure is that, Dorie's galette dough makes a flaky, tender, crisp and buttery dough crust. The juices from the filling was bubbling from the sides of the tart instead of from the slits at the top as Dorie indicated while it was baking. When it was done baking and cool to just warm, I sliced the tart and some of the slices break into pieces. The pear pieces are tinged from the colour of the blueberries. Overall, a very nice tart, but I could not help comparing this to the Apple Pielettes which we baked last month. They are quite similar, one with apple and this with pear, and they both used different jams and spices. I prefer the Apple Pielettes. That being said, we did enjoy slices of these tart with warm tea. "Scentsational Sides", the theme for this week at I Heart Cooking Clubs (IHCC). I've made another side dish, this time to go with our usual dinner of rice and some other main dishes. A simple and very tasty veggie dish. Bought some French green beans and they were very sweet, tender and fresh. I've used fresh shiitake mushrooms instead of assorted mushrooms. The green beans are cut into 1-inch pieces, then they are cooked in the microwave for about 4 minutes before stir-frying them with the rest of the ingredients. This is similar to what we usually cook at home, the only difference is we always used garlic instead of shallots. Next time I will use both garlic and shallots. Very tasty veggie dish, the perfect side-dish to accompany any meal. Put the green beans in a microwave-safe bowl with the water. Cover tightly and microwave on high for 4 minutes. Carefully remove the cover, drain it in a colander, shaking off any excess water, and set aside. 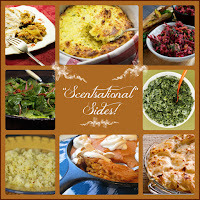 "Scentsational Sides", is the theme for this week at I Heart Cooking Clubs (IHCC), it's sensational side dishes that makes the meal other than the main dish, yes I agree! I've made Scallop Potatoes Au Gratin, and when it was served, we could not decide whether to taste which one first, this side dish or the main dish of roasted chicken legs. While we love roasted chicken, the Scallop Potatoes looks so golden and cheesy delicious. Side dishes like this is good enough to eat it on its own! Simple and easy to make. Yellow potatoes are peeled, even though recipe says otherwise, and sliced thinly, boil until just tender, about 8 to 10 minutes. Drain and set aside. Prepare the sauce by making the roux, heating the milk and flour until the flour is dissolved. Sprigs of thyme and garlic are added and stir until the mixture has thickened. Remove from heat, discard the thyme sprigs and add some cheese and salt to taste, stirring until the cheese is melted. Arrange half the potatoes in a greased baking dish, pour half of the cheese sauce evenly. Arrange the remainder potatoes over and top with the remaining sauce. Scatter shredded cheese all over, bake until bubbling about 20-25 minutes. Set under the broiler on high until the cheese is golden browned, about 2 minutes. Preheat the oven to 350F, Spray a 2-quart shallow baking dish with cooking spray. Place the potatoes in a large pot and cover with water. Bring to a boil, then reduce the heat and simmer until the potatoes are just tender, about 8 minutes. Drain, set aside, and allow to cool slightly. Place the milk and flour into a large saucepan and whisk until the flour is dissolved. Add the garlic and thyme and heat over medium-high heat, stirring constantly, until the mixture comes to a boil and is thickened, about 8 minutes. Remove from the heat and discard the thyme sprig. Add the salt and 1 cup cheese, stirring until the cheese melted. Arrange half of the potatoes in the baking dish. Pour over half of the cheese sauce. Add the remaining potatoes and top with the remaining sauce. Sprinkle with the remaining 3/4 cup cheese and bake until bubbling, about 25 minutes. Set under the broiler and broil on high until the top is browned, about 2 minutes.